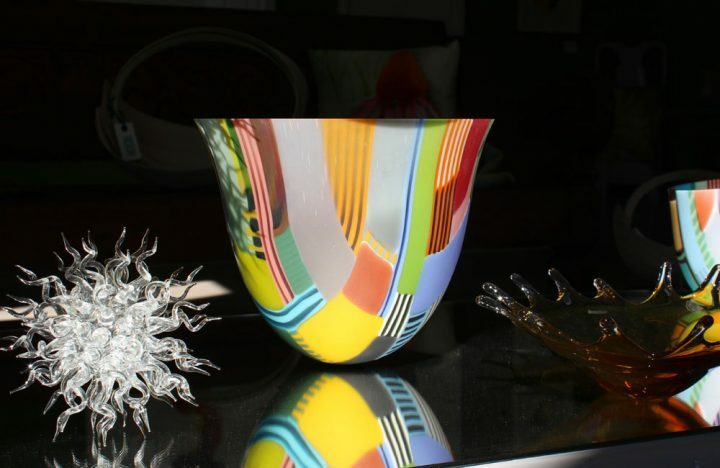 Muddy Says: A carefully curated mix of contemporary craft and artwork from Cornwall and beyond. 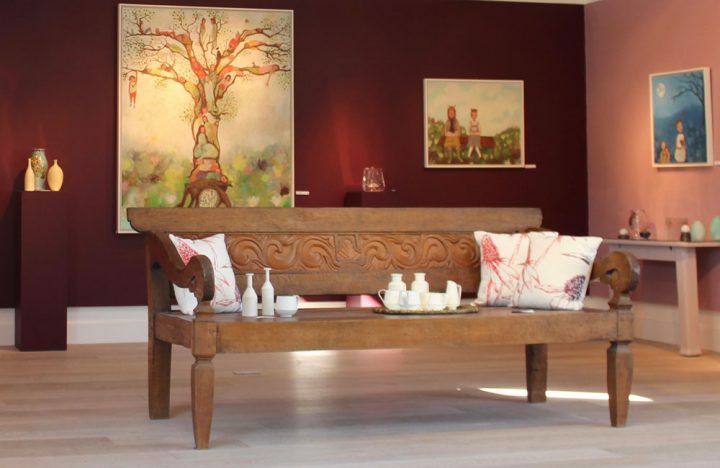 The Byre Gallery on the Rame Peninsula in south east Cornwall exhibits stunning works of design-led craft and contemporary fine art by leading and emerging makers and artists from throughout the UK. 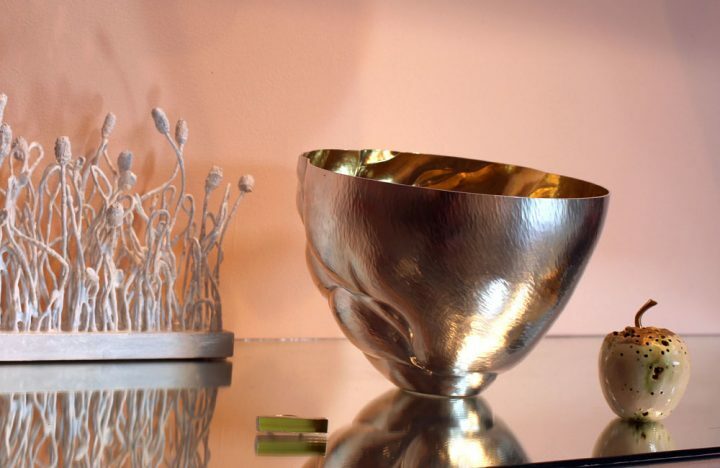 Some of the those who exhibit regularly include: ceramicists Lucy Burley, Remon Jephcott and Jessica Thorn; glass artists Catriona MacKenzie and Ruth Shelley; fine artists Jill Hudson, Kerry Harding and Siobhan Purdy; and jewellers Corrinne Eira Evans, Tracey Falvey, Anna Pope and Lucy Spink. Owned and curated by Elaine Dye, The Byre is open three times a year with exhibitions held in spring (end of March until early June); summer (mid July to mid September) and Winter (November and December). Elaine curates each exhibition to show paintings and craft in a recognisable – but stylised – domestic context rather than in a more traditional gallery setting as this gives a suggestion of how art and craft can look in the home. Every exhibition has a different theme, and a different colour scheme. The walls are re-painted a new colour (or colours) for each new show to best complement the work. 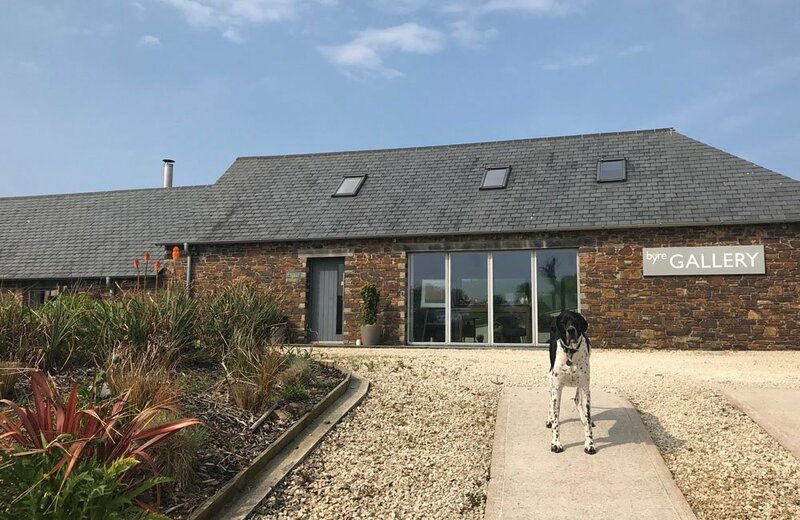 Situated on the edge of the village of Millbrook, the Byre can be easily reached from Plymouth and west Devon as well as Cornwall – and there is plenty of parking at The Byre, just drive up the steep slope towards the gallery.